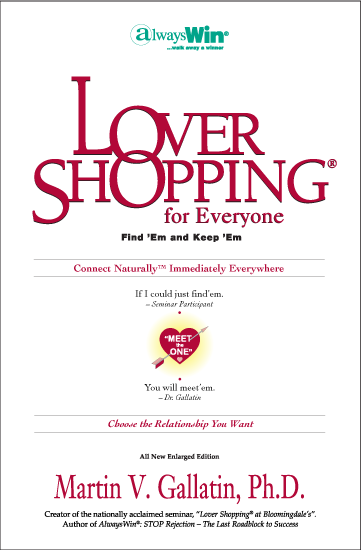 Lover Shopping® focuses on making the initial connection wherever you happen to be and whatever you are doing. Be your own matchmaker and snag who you secretly want at the mall, bar, or on the web regardless of your past or current situation and personal constraints. 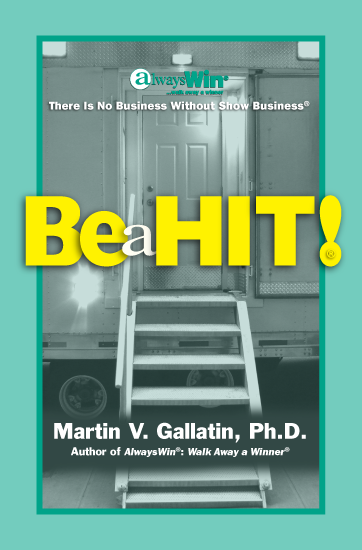 In today's world quite a few of us are hesitant to strike up a conversation with a potential lover for one reason or another. 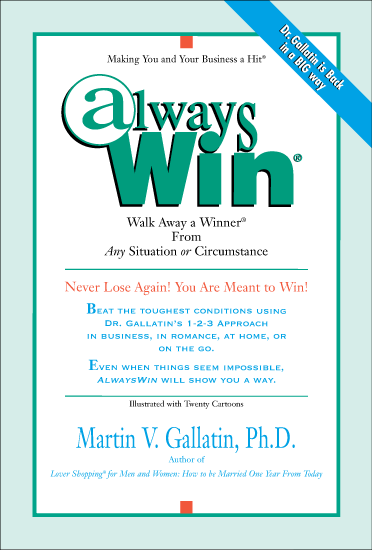 The techniques demonstrated in this book will allow you, subtly and safely, to take advantage of any chance opportunity that comes along in your everyday life. 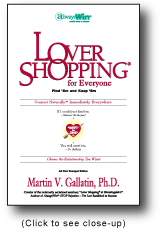 After reading Lover Shopping® you will know how to attract who you want. You will have the confidence to make something happen in a chance encounter. You will meet more possibilities, in more places, than you ever imagined. Connect Naturally™ even when time is short, the situation is not ideal and the other person doesn't quite know what to do.